Having trouble locating a skilled Tree Surgeon in Hampton Wick? GraftinGardeners have skilled tree surgeons in KT1, London and surrounding areas. 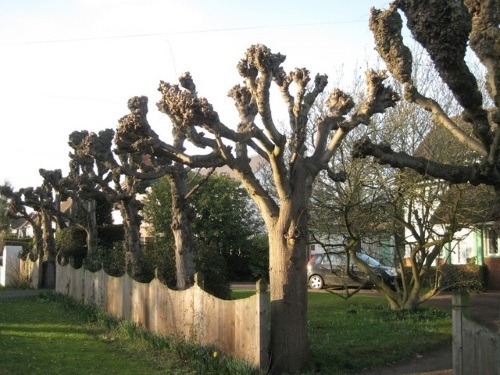 GraftinGardeners provide the finest tree surgery services in and around Hampton Wick. Our tree surgeons can perform any tree works using the latest tree surgery techniques. We strive to make customers happy and always get the job right. If you require tree surgery in KT1, give us a call or fill out the quick quote form to the right. Are awkwardly situated trees causing you trouble, give us a call. We have professional tree surgeons that can fell any tree. Our expert felling team will fell your trees efficiently and remove all waste once felling is complete. Our company takes health and safety seriously; we only remove trees in a safe and controlled manner abiding to UK safety guidelines. Are your trees growing too big for their own good? If so, they may need inspecting by a professional tree surgeon. Before making any cuts, we’ll asses each tree individually and determine the best pruning procedure for them. We always follow the guidelines set out in the BS3998 and guarantee to leave you with a well balanced and safe tree. Need help removing a tree stump from your property? 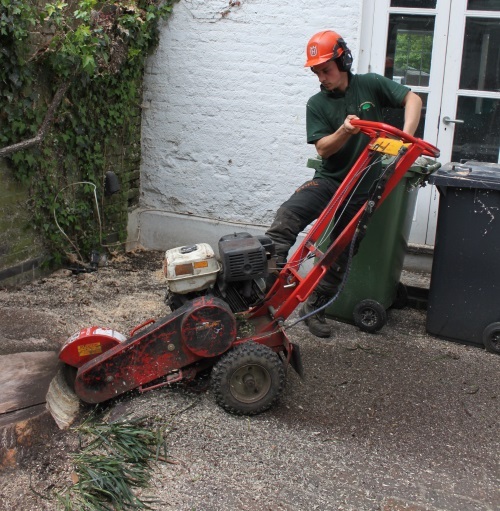 We have expert tree surgeons that specialize in stump grinding and removals. We can remove any stump with our stump grinding equipment and backfill the hole with fresh soil to an even surface. Storms are one of the reasons why trees fail and fall. When a tree falls on your property it can cause heavy damage to your house/possessions and be tedious work to clear up. Our emergency tree surgeons are on call 24 hours a day to help you deal with emergencies. We will remove all fallen trees and make the surrounding area safe again. If ivy is causing damage to your property, we can help. We have expert arborists with a broad understanding of ivy management and other climber species and can assist you with your decision making. We can remove ivy form the roots to stop it coming back or prune and shape it to your requirements. 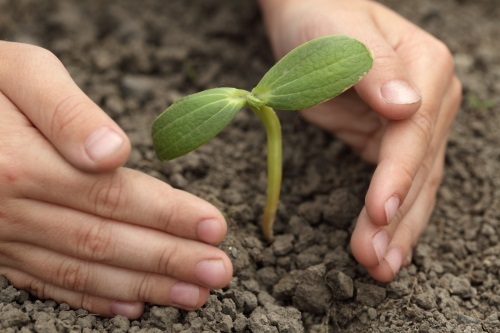 Planting a new tree but don’t know where to place it? Let us help you. Are arborists are experts at planting trees and can advise you on the whole tree planting process. We can source the best possible specimens for you and give you guidance on tree aftercare. GraftinGardeners have highly skilled and professional hedge trimmers. Our team can trim any hedges regardless of size to whatever shape or style you like. We’re masters in the arts of hedge trimming and always ensure a clean, tidy and well shaped hedge. Pollarding should only be carried out by a qualified tree surgeon, letting unskilled workers pollard your trees could cause serious damage your trees health. 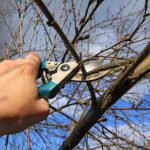 Our team can guide you with pruning requirements to ensure they are pruned correctly.